This first English translation of Leontius of Neapolis's Life of Symeon the Fool brings alive one of the most colorful of early Christian saints. In this study of a major hagiographer at work, Krueger fleshes out a broad picture of the religious, intellectual, and social environment in which the Life was created and opens a window onto the Christian religious imagination at the end of Late Antiquity. 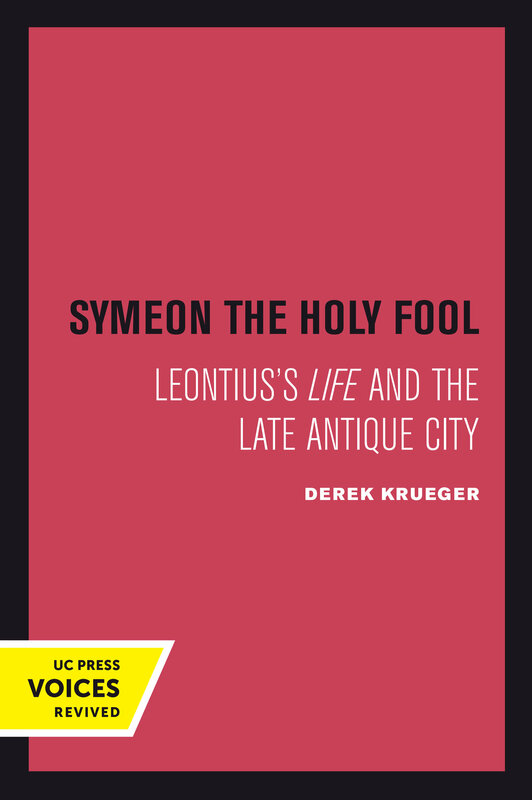 He explores the concept of holy folly by relating Symeon's life to the gospels, to earlier hagiography, and to anecdotes about Diogenes the Cynic. The Life is one of the strangest works of the Late Antique hagiography. Symeon seemed a bizarre choice for sanctification, since it was through very peculiar antics that he converted heretics and reformed sinners. Symeon acted like a fool, walked about naked, ate enormous quantities of beans, and defecated in the streets. When he arrived in Emesa, Symeon tied a dead dog he found on a dunghill to his belt and entered the city gate, dragging the dog behind him. Krueger presents a provocative interpretation of how these bizarre antics came to be instructive examples to everyday Christians. This title is part of UC Press's Voices Revived program, which commemorates University of California Press’s mission to seek out and cultivate the brightest minds and give them voice, reach, and impact. Drawing on a backlist dating to 1893, Voices Revived makes high-quality, peer-reviewed scholarship accessible once again using print-on-demand technology. This title was originally published in 1996. Derek Krueger is the Joe Rosenthal Excellence Professor in the Department of Religious Studies and Program Faculty in Women’s and Gender Studies at the University of North Carolina at Greensboro.